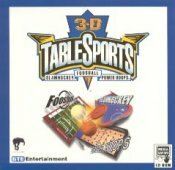 The game offers 3 games for one or two players over the Internet: the college favorites Foosball and Air Hockey (called "Slamhockey" here), and less popular Power Hoops. The problem is that none of the games really stands out. Slamhockey, for example, is not as much fun as Br?derbund's good old Shufflepuck Cafe. Each game features fully rendered 3D graphics and many play options, but the gameplay feels bland and uninteresting. 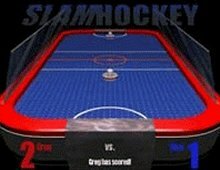 It is also not very realistic: in Slamhockey, again, the AI player advances right up to the table. Since nobody has 10-12 foot arms in real life, this is both strange and distracting. All in all, a fun diversion you will enjoy for a few minutes, before getting back to other, better sports games. SporTime's much older Indoor Sports Volume 1 is far superior than this newer game.